‘ Whenever my dad goes to a restaurant he always says the same thing. “God, I can make a meal just from the appetizers.” So, that’s what I’m making him: a meal of appetizers.’- NBC’s Will & Grace, Season 3/Episode 15 “Cheaters”, Scene IV that aired on February 22, 2001. 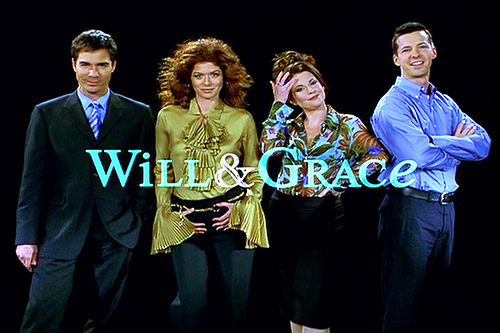 That quote has been stuck in my head ever since I watched the NBC sitcom, Will & Grace…..loved that show…. And given that the Holiday Season is fast approaching, I am focused on appetizers lately. Easy finger foods that can be prepared with items already in your pantry. Here are just a few of my favorite savory and sweet appetizers, so far. Enjoy! 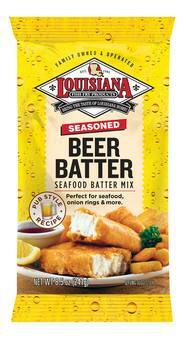 In making conch fritters, I found that using this batter mix is an easy quick way to make a crowd pleasing appetizer.Louisiana Beer Batter Mix is the #1 selling fish fry brand in the United States. The light and flaky pub style batter is perfect for just about any type of seafood and is just as great for making onion rings as well. All you have to do is just add your favorite brew or any type of carbonated drink. I use either club soda or seltzer water, which are neutral in terms of taste. If conch is not available in your area, any type of firm white fish can used instead, in this recipe. Enjoy! Soak the prepared conch in lemon juice for 25 minutes. Preheat the canola oil in large Dutch oven. Drain conch. 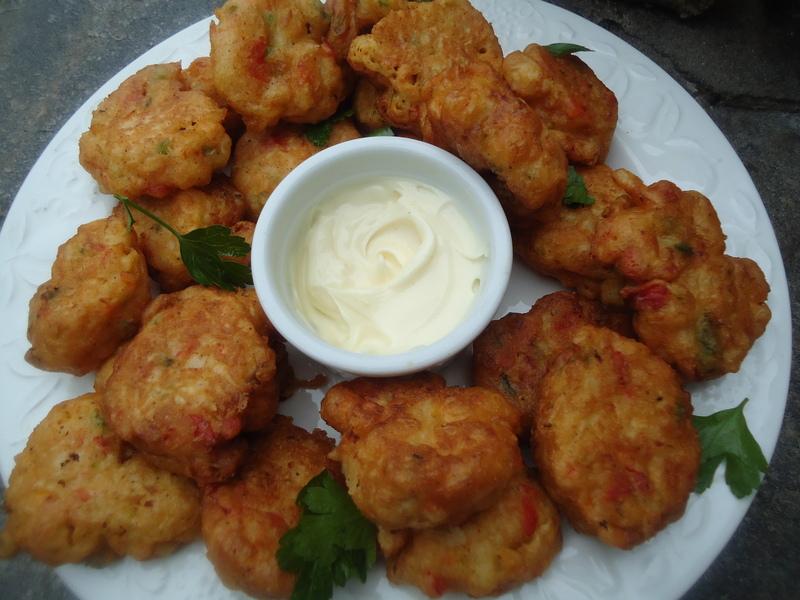 In a large bowl add the conch, bell peppers, onions, egg, Beer Batter mix, and beer or club soda. Mix until smooth. Using a table spoon, scoop a rounded measure of the conch mixture, shaking off excess and carefully add to the oil. Deep fry at 375°F until golden brown. Drain in paper towels and serve immediately with your favorite dipping sauce. 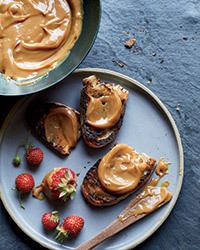 For a sweet treat, boil a can of sweetened condense milk to make a rich and creamy caramelized spread that can be served with sliced fruits, whole strawberries or slathered on crackers and mini bread slices. One small can of sweetened condensed evaporated milk. Remove the label and place the unopened can of condensed milk in a deep saucepan and cover the can completely with water. Bring the water to the boil then reduce the heat to simmer and let the can simmer covered in water for 2 1/2 to 3 hours CAUTION- CONSTANTLY MONITOR THE WATER IN THE SAUCE PAN. Do not let the he saucepan boil dry or an explosion will occur. Keep checking and adding water as necessary. After 3 hours, carefully remove the can and wait at least 20 minutes before opening the can very carefully in the sink. The contents will still be very hot. 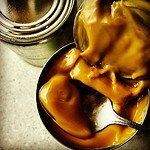 The condensed milk will look like creamy brown caramel. Stir the caramel in the can with a fork to remove any lumps, then pour the caramel into a bowl for serving. The spread can be refrigerated for up to 3 days. Soften the spread in the microwave at 5 second intervals, stirring between intervals, until the caramel is spreadable. This is another version of the East meets the Deep South. Chicken wings baked in the oven and coated with a spicy glaze makes for a fantastic tasting appetizer. In a small saucepan, bring the honey and 1 tablespoon of the ginger to a simmer. Let cool, then strain the honey into a bowl. In a medium saucepan, heat the 2 tablespoons of canola oil. Add the onion and cook over low heat, stirring, until softened, about 4 minutes. Add the garlic and the remaining 3 tablespoons of ginger and cook over low heat until softened, about 2 minutes. Stir in the mirin and vinegar and simmer until slightly reduced, 2 minutes. Add both soy sauces and the black bean paste and simmer just until slightly thickened, about 1 minute. Stir in the sambal oelek. Season the flour with salt,garlic powder, onion powder, salt and cayenne pepper.Prepare an egg wash by whisking the 2 eggs and cold water togetherin a large bowl.Dredge wings pieces in the seasoned flour; then dip into the egg wash. Quickly drop the wings one by one, back for a final time into the seasoned flour. Spread the coated wings onto a lightly oiled baking sheet. Do not crowd them together closely, they need a little space between them to make them crispy. Bake the wings for about 30- 35 minutes or until fully cooked to the bone. The wings should also be turned over once about 20 minutes into the cooking time. The cooking time will vary depending on the size of the wings you use. Drain on a wire rack or on paper towels for a few minutes before tossing with the Sauce. Transfer the wings to a large bowl and toss to coat with the sauce. 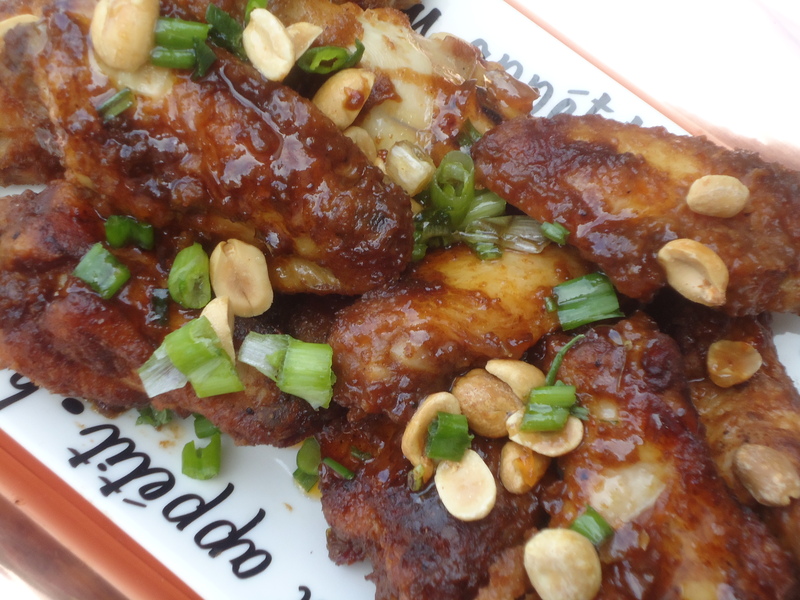 Add the peanuts and scallions and toss the wings drizzle with the ginger honey and serve. Scrub potatoes and cut into very thin slices using a mandoline and immediately place in a bowl of cold water. 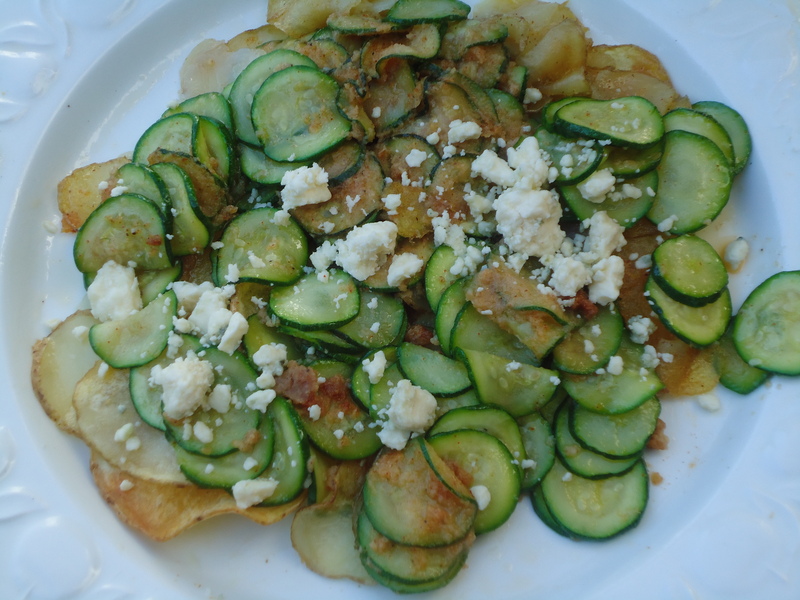 Cut zucchini into thin slices, place in a large bowl and toss with flour and cayenne pepper. Drain potatoes and dry on paper towels. Place potato and zucchini chips on two large baking pans Toss chips with olive oil and spread the chips out, making a single layer. Bake the chips in the oven for 18-25 minutes until crisp and lightly brown; drain, season with salt and let cool. Add potato and zucchini chips to a large baking pan. Spread out evenly to make just one layer. Top with Gorgonzola cheese and bake in a 350°F oven until cheese melts. Serve immediately. Instead of frying the French fries, I opted to bake mine in the oven, which gave a crisp finish. To make the bulgogi: In a resealable plastic bag, combine the onion, garlic, ginger, soy sauce, sugar, vinegar and sesame oil. Add the rib eye and toss to coat. Seal the bag and refrigerate overnight. Drain the meat, pick off the solids and pat dry. In a large skillet, heat the vegetable oil until smoking. Add the meat and cook over high heat, turning once, until lightly browned, 4 minutes. Transfer the meat to a plate and keep warm. Rinse out the skillet and wipe dry. Prepare the french fries in the oven, according to directions given on the particular brand that you like. To prepare the toppings: In a medium bowl, combine the sugar, vinegar, chile paste and soy sauce. Add the kimchi and toss to coat. Heat the skillet until very hot. Add the kimchi and cook over high heat until the liquid is thickened and glossy and the kimchi is browned in spots, about 5 minutes. In a small bowl, whisk the mayonnaise with the 3 tablespoons of Sriracha. 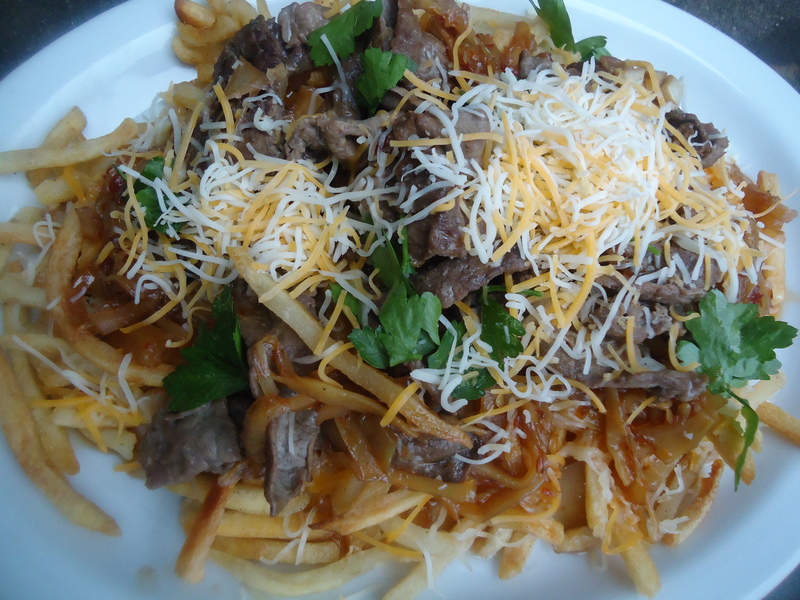 Scatter the french fries on a platter and top with the bulgogi and kimchi. Drizzle with some of the Sriracha mayonnaise and sprinkle with cheddar, onion, sesame seeds and cilantro. Serve with additional Sriracha. 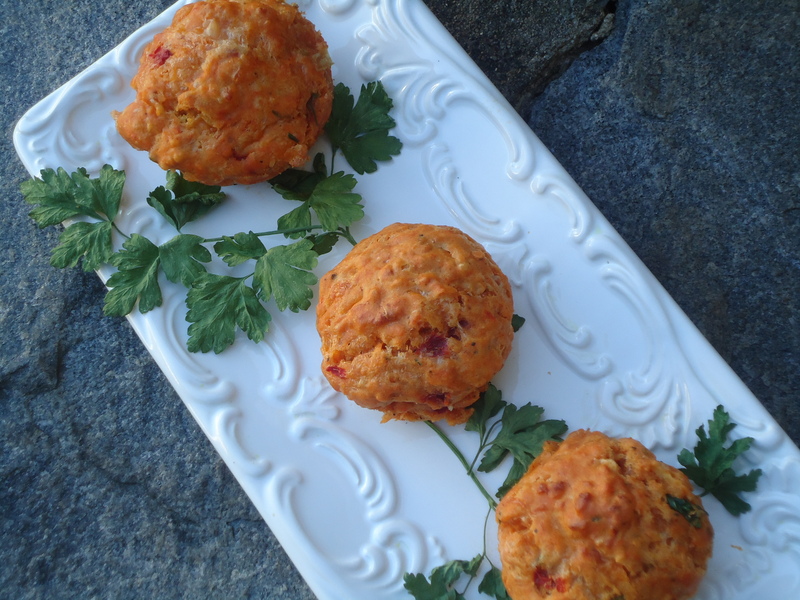 Chef Lincoln Carson’s mixes his version of pimento cheese into a muffin batter, that gives you those cheesy, peppery flavors in every bite. The muffins can be made ahead time and you can keep them at room temperature overnight. The original recipe also called for Pimento cheese, to be served on side, but I opted for a homemade fruit jelly made of plums. 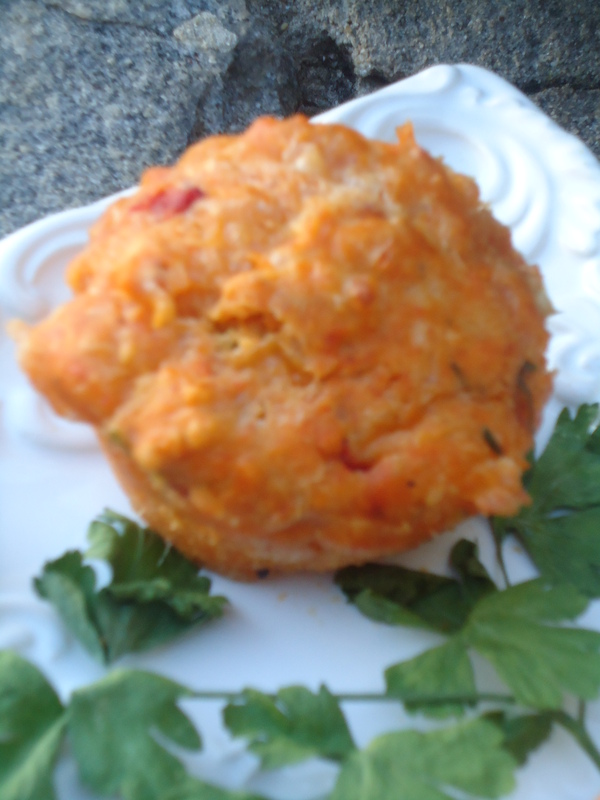 The sweetness of the jelly and the spicy cheesy muffins were a perfect combination. In a medium bowl, whisk the flour with the paprika, salt, baking powder, baking soda and pepper. In a large bowl, whisk the buttermilk with the eggs, butter, harissa, chives, onion, scallions, parsley and Worcestershire until smooth. Whisk into the dry ingredients just until combined. Stir in the cheese and chopped pimientos. Using a 1/3-cup measure, scoop the batter into 12 muffin cups. Bake for about 18 minutes, until golden brown and a toothpick inserted in the middle comes out clean. Let cool for 5 minutes, then unmold and serve with your favorite fruit jelly. COOK’S NOTES: The original recipe called for a Harissa Paste, the brick-red Tunisian chile paste, is available at specialty food stores and markets like Whole Foods. In this adaptation, Williams-Sonoma Harrisa Spice was used. You can also make you own harissa seasoning with this recipe provided by Whole Foods. Canning is a perfect way to preserve the taste of late Summer and Early Autumn vegetables from your garden. Latex or nitrile gloves to protect your hands from the compounds in the chili peppers. Place the peppers and onions in a food processor and chop finely. Alternatively, you can place the vegetables in a blender, cover with water and chop finely. Drain the vegetables in a colander. This method may require to process the vegetables in 2 or 3 batches, depending on the blender model. In a large enameled cast iron stock pot or kettle, add the vegetables and salt. Mix to combine. Cover the vegetable mixture with the boiling water. Let the mixture stand for 10 minutes, then drain and discard the soaking liquid. Add the vinegar and the sugar to the vegetables. Bring to a rolling boil, then reduce heat and simmer for 20 minutes. While the vegetables are simmering prepare your mason jars and water canning equipment according to the manufacturers directions. Working as quickly as possible, place a canning funnel over the jar and ladle the vegetable mixture into the jar, pressing down the vegetables as you pack the jar so that the liquid (brine) covers the vegetables. Using a clean dish towel, wipe the jar rims clean, cap with a canning lid and secure the band until it is finger tip tight. Repeat with the remaining jars and place in the water bath canner. Start to count the processing time hen the water in the canner returns to a complete boil. Process the relish in the boiling water canning bath for 15 minutes. Place a clean terry cloth towel on the work space. Remove jars from the canner using the jar lifter. Rest jars on the towel and allow the jars to sit upright for 24 hours undisturbed. You may hear a”popping” sound which indicates that the jars are sealing. To check if seals have properly occurred, depress the center of the lid with your index finger. If the lids flex under slight pressure, the jars ARE NOT SEALED. You can reprocess the jars by opening them and cleaning the rim, and using a new lid. Seal with a band and reprocess. If the lid does not flex your jars have properly sealed. Label your jars with the contents and date and store in a cool dry place. 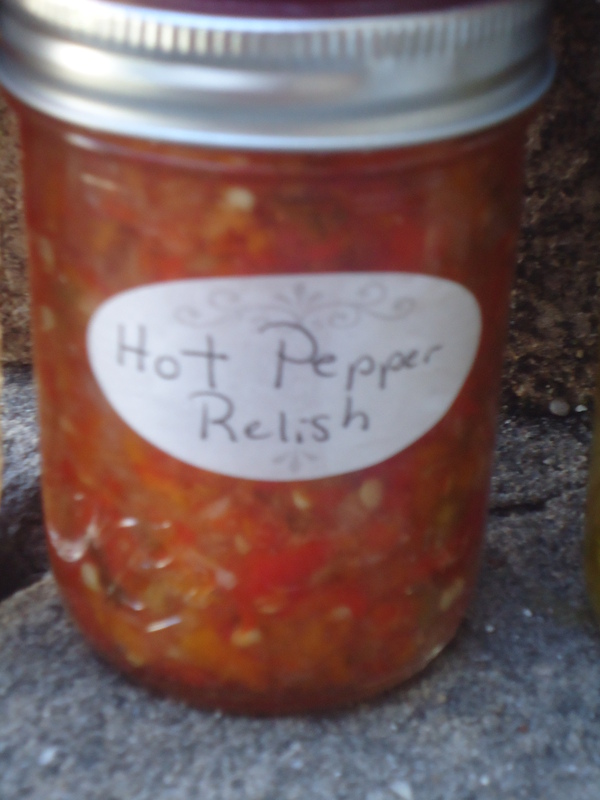 You can store your relish UNOPENED for up to one year. Always refrigerate your jar of processed relish after opening your jar.